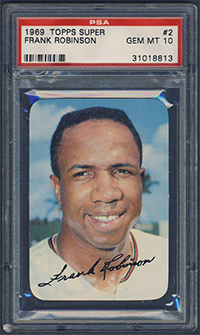 Frank Robinson was the first and only player to be selected MVP in both leagues. He was named NL Rookie of the Year in 1956 and the loop's MVP in 1961, when he paced the NL with a .611 slugging average and led the Reds to a pennant. 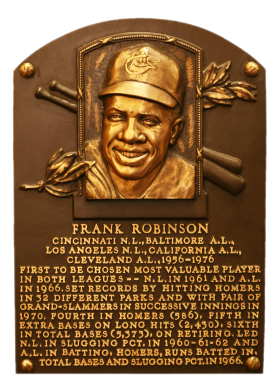 Traded to Baltimore after the '65 season, Frank responded in '66 by hitting .316, 49 home runs, and knocking 122 runs to win the Triple Crown. He hit 30 homers in 11 seasons with 586 career dingers. He also compiled 1,812 career RBI and 1,829 runs scored. 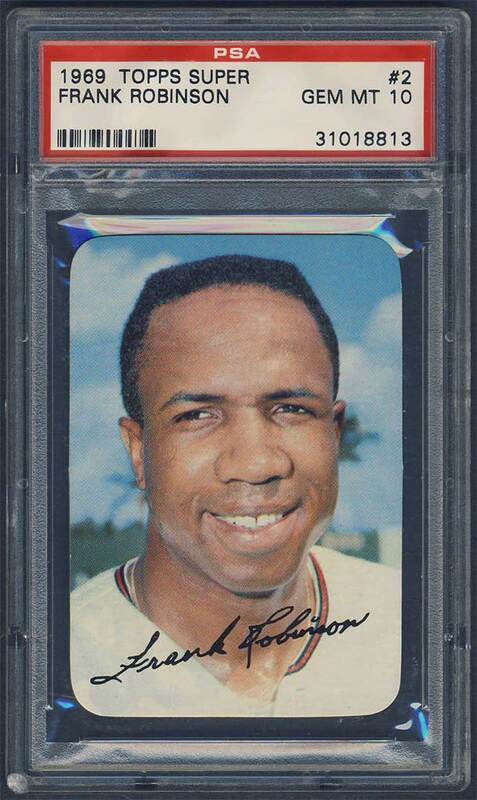 Comments: In January, 2000 I picked up a PSA 8 1958 Topps card as my first portrait for Robinson. In July, 2005 I replaced the card with a PSA 9 '69 Topps Super card purchased at the National in Chicago. UPDATE: A PSA 10 first came across on my eBay searches in late 2015. The price was a little steep in comparison to what I paid for my PSA 9. I kick off an offer to the seller but it was declined. A few months later in May 2016 I submitted another offer and the seller responded via the eBay messaging system. We were able to discuss a price and settled. The purchase amount was just slightly above what I paid for the MINT card. 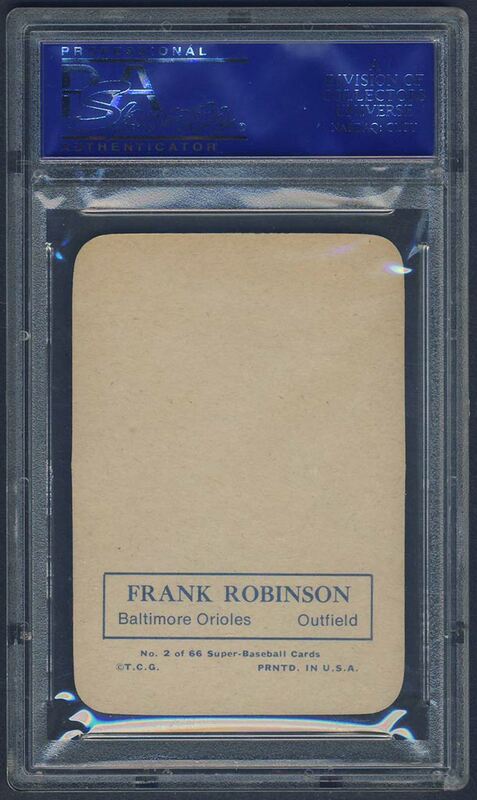 Hopefully, I can sell the PSA 9 and recoup a good portion of the cost….we’ll see. Happy to own this GEM! Description: These 2-1/4" X 3-1/4" cards are not the bigger "Super" cards which would be seen in following years. 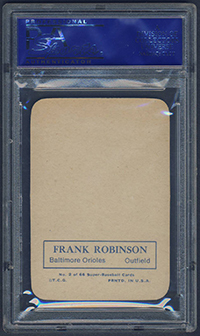 Their high-gloss finish enabled Topps to dub them as such. The 66-card set saw limited production, meaning supplies are tight.